We are well into the season of Lent. And it’s silly that I am so over it. In my attempt to be more healthy and give up something that I really love, I gave up Diet Coke and In-N-Out. And it’s hard. Not the In-N-Out part (I would have that maybe once a month or every six weeks.) The Diet Coke part. Is. Killer. I have been DREAMING about drinking one. Dreaming. I wake up and think, wow that fountain Diet Coke was totally worth it in my dream, maybe I should have one today. And then I have to pinch myself, and say, “Really, Brook? You can’t control yourself? 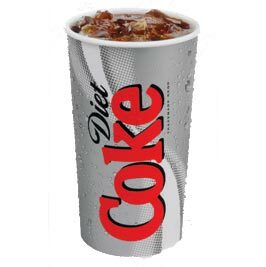 It’s just a Diet Coke. Think of Jesus.” This morning is definitely one of those mornings. Is it Easter yet? I am right there with you, I gave up soda and chocolate and now dream about them. 24 days to go. I. Am. Still. Dying. For. A. Diet. Coke. Thank you for clicking through LBS! I wish we had Sundays as free days. My husband won’t go for it. Blerg on him. I would love to install one in my kitchen.